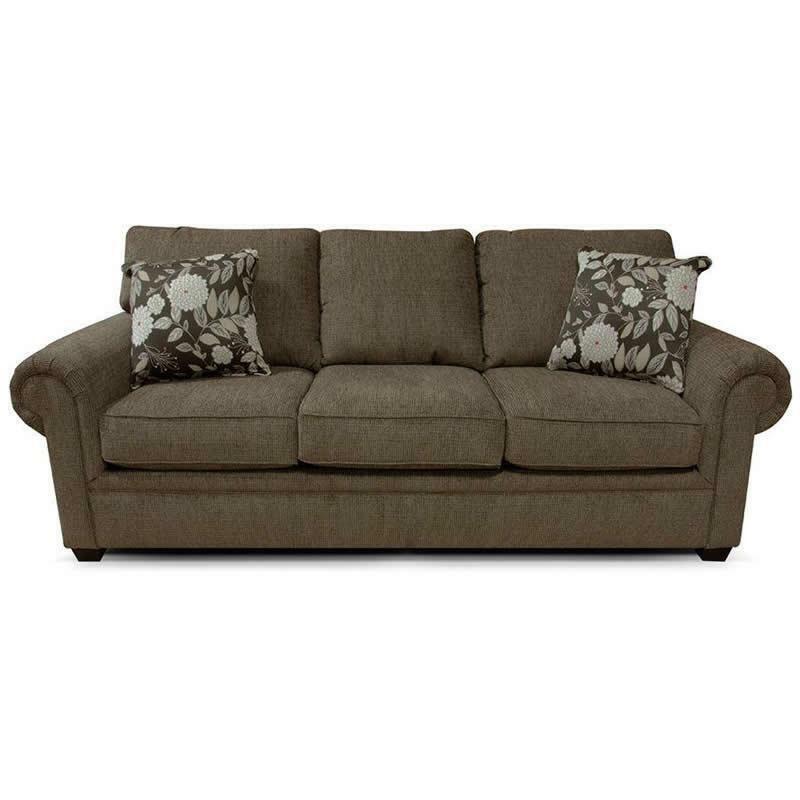 Brett is a three cushion transitional sofa style with pyramid legs and rolled and welted arms. The back cushion are attached. Additional Information Coil cushions are optional at a small upcharge; Matching welt is standard; Two 20 in pillows (with a fringe option) are standard; Legs are 2.5 in pyramid screw-in with dark brown finish; Standard mattress is Custom Comfort Premium Innerspring; Visco & Air options are also available at an additional upcharge; Three cushion sofas; Seat depth: 21"; Seat height: 21"; Seat width: 68"